When we sing together with loving intention, we enter into our undeniable unity. With this simple act, we bring ourselves home. Come to this Spring Session of Hilde Girls, and experience the joy and beauty of many women becoming one voice. With music from St. Hildegard and other rich songs of the heart, we’ll offer our singing as an expression of Love to heal our human family. Please join us! And know that adding your voice is one of the most helpful and powerful things you can do — for yourself, for those you love, and for our world. No previous singing experience is needed to join Hilde Girls. Come with a willing heart, and you will be singing with joyous freedom before you know it! In a changing world, this fact remains: All the power and beauty of Divine Love lives within us. Our fall session of Hilde Girls will continue our awakening to that truth, so that in these times, we choose to love both fiercely and tenderly. We’ll sing together for five gatherings, including four Tuesday evenings. We’ll also enjoy a special Saturday private concert in nature, featuring Will Taylor and Strings Attached, where we’ll share two of our beautiful Hilde Girls songs. No extra rehearsals are required — this is simply a lovely concert for us to enjoy together, with friends and family! Won’t you join us as we lift our voices in the certainty of Love? Cost includes concert ticket, class CD, and all music and magic! No previous singing experience is needed to join Hilde Girls. Come with a willing heart, and you’ll be singing with joyous freedom before you know it! This beautiful series offers the opportunity to deepen your knowing of your inner Mother, which is the power of Divine Love within you. There’s also an optional/recommended trip to the Dallas area on June 21-22 to sing for “The Hugging Saint,” affectionately known as Amma (see amma.org). To register, contact Craig Toungate via email or text at craig@lincolntoungate.com or (512) 796-7037. Pay with cash, check or charge at the first class. You don’t need any previous experience with singing or Hilde Girls to participate in this series — just come with a willing heart. We look forward to singing with you and being with you in our circle of Divine M’Amma love! Enjoy this special evening with Susan Lincoln, a Hildegard vocalist from Austin, TX, as she weaves together a wonder-filled celebration of the music of St. Hildegard of Bingen. All are invited to this unique evening that includes the beautiful solo voice of Susan as she sings Hildegard’s powerful music received from the Living Light. The night will include narrated stories and quotes from St. Hildegard that help bring the music to life, as well as an interactive opportunity for the audience to learn and sing together short musical phrases from Hildegard’s beautiful songs as they are woven into Susan’s solos. Music is the giving of gratitude to God. The whole universe makes music from its harmonious interconnectivity. All of creation is a song of praise to God. Throughout this magical one-day retreat for women with the amazing teachings and music of Hildegard of Bingen as inspiration, we will sing together and participate in creative practices designed to deepen connection in the timeless place of heart and spirit. Susan Lincoln, founder of Hilde Girls in Austin, Texas, has been committed to helping women heal and grow through the power of their voices for over 25 years. Come enrich your inner-life in a glorious day of Viriditas, Hildegard’s secret word for the greening power of love. There is the music of heaven in all things, and we remember how to hear it when we sing. For first-timers, this is an opportunity to experience the magic and learn more. For previous and returning women, it’s a wonderful reunion! Please join us for a very special session of Hilde Girls, as we take the time to notice and appreciate nature around us, and remember ourselves as that same life-giving love, joy, and generosity. Whether it’s your first or fifteenth circle, come be with us! With songs from St. Hildegard and many rich traditions, we’ll sing our Spring into being. In this Spring Session, you can look forward to a Tuesday evening singing around a campfire, an afternoon in the woods of Wimberly on March 24, and an outdoor Earth Day Sing-A-Bration on April 22. Cost for our 12-week Spring Session: $390 cash or check discount or $405 PayPal or credit card. Includes class CD & all music. Please join us for a concert that invites the grace of gratitude and expresses the joy that is our true nature. Our evening includes singing by the Hilde Girls, plus a “sound bath” offered by Heartistry, featuring Gahana Bonnington on native flutes and Beckie Forsyth playing crystal alchemy singing bowls. We offer this concert as a blessing — and count being with you as the same! One of the most wonderful discoveries we can make in this life is realizing that it is not happiness that gives us gratitude, but gratitude that gives us happiness. When we immerse ourselves in gratitude, we spontaneously become happy and open to the wonder of life. This is your invitation to deepen your practice of gratitude within a circle of loving, delightful, and amazing women. This is your invitation to know, more than ever, the joy and wonder that is your true nature. 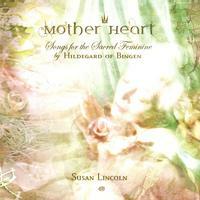 With songs from many traditions, including the beautiful music of St. Hildegard of Bingen, we will sing it into being. Won’t you join us? At 7 pm on Friday, Dec. 15 at Trinity United Methodist Church, we will offer a Musical Meditation Blessing with Hilde Girls and Heartistry! Stay tuned for details. Join us as we sing gratitude, ignite the power of circle, awaken ancestral wisdom, and illuminate love! A very special all-day women’s retreat in a wondrous place of beauty and delight! We’ll sing, play, and dance. We’ll walk the labyrinth nestled in the dancing live oak trees, and renew with nature. We’ll circle in the lovely Celebration Hall, and discover the immense healing power of women singing for Love together. To register, email craig@lincolntoungate.com or call 512-796-7037. This beautiful 5-part series offers the opportunity for intimate discovery and profound knowing of your inner mother, which is the power of divine love within you. Together we’ll sing beautiful songs that deepen our journey, and you’ll also be given a CD to sing with throughout the week. You don’t need to have previous experience with Hilde Girls or singing to participate in this Divine M’Amma series ~ just an open heart and a willingness to grow your compassion and ability to live a more loving life. On Saturday, June 17, we offer an optional singing pilgrimage to Dallas to sing for love in the presence of Mata Amritanandamayi, known throughout the world as Amma, or Mother, for her selfless love and compassion toward all beings. Her entire life has been dedicated to alleviating the pain of the poor and those suffering physically and emotionally. Amma inspires, uplifts, and transforms through her embrace, her wisdom, and through her charities, known collectively as Embracing the World. While Amma is widely regarded as one of India’s foremost spiritual leaders, Amma says that her religion is love. She has never asked anyone to change their religion, but only to contemplate the essential principles of their own faith and to try to live accordingly. Hilde Girls have had the rare and great honor of singing in Amma’s presence for many years, an experience that has brought each of us profound inner growth and more ability to choose love as a way of life. You do not have to go to Amma’s Dallas program to participate in the Divine M’Amma series, although it is highly recommended. Simply put, there are not words enough to describe the transformational powers of being in Amma’s light and love. 1. Contact Gahana Bonnington to let us know you will be joining our circle. 2. Pay with cash, check, or charge first class, May 23. Note: You do not need any previous experience in Hilde Girls to participate in this series. Hotel rooms can be shared by up to 4 women. Food can be brought from home, or reasonably priced meals can be purchased at Amma’s programs. Carpooling, roommates, and other details will be arranged in our Tuesday night Hilde Girls gatherings. Note: Although you do not need to go to Dallas to participate in this Divine M’Amma 5-part series, you must attend the series if you want to sing with us at Amma’s Dallas program. You will have a CD of the beautiful songs to practice with during the weeks before we sing for Amma. Of course, you can go to Dallas to receive Amma’s blessing whether or not you attend this course. Please give yourself this treat. We look forward to being with you on May 23 in our Divine M’Amma circle! One of the most significant contributions from the teachings of Saint Hildegard of Bingen was the concept of Viriditas. Hildegard understood Viriditas to be the greening power of divine love, present in all of creation, including us. She believed this glorious greening — this creative power of life — was not only to be witnessed in nature, but also cultivated in our own bodies and souls. Join us for a new and beautiful session of Hilde Girls. As we circle and sing, we’ll grow this creative, life-giving power within ourselves, and offer it in loving service to each other and our world. Let’s gather in timeless remembrance that each of our hearts holds the power of unstoppable spring. For first-timers, the Intro Sampler Circle is an opportunity to experience the magic and learn more. For previous and returning women, it’s a wonderful reunion! Offered by love donation. You are most welcome to enroll for the session even if you are unable to attend the Intro Sampler Circle. In our Spring Session, we’ll offer an Earth Day Singabration: Saturday, April 22, 4-6 pm. Details to come soon! All of us have the power of Supreme Love inside of us. Whatever we may choose to name it, it is all-powerful, ever-victorious, eternally universal Love. Together, we are on a journey of awakening to this Supreme Love, which is both our innate nature and our greatest potential as human beings. It is a true privilege to help each other on this journey, and one of the most powerful ways we do that is to sing our loving. Please join us for this Fall Session of Hilde Girls. As we circle and sing together, we will embody for ourselves and offer to the world our bold, courageous Loving. Until we meet, remember that our Loving heals, and is cause for celebration! Intro Sampler Circle on Tuesday, Sept. 27, 7:00 – 9:30 pm: An opportunity to experience the magic and learn more. Previous and returning Hilde Girls are also invited! Offered by love donation. Our concert will culminate with a community song blessing. Details to be announced. Cost for our 12-week Fall Session: $390 cash or check discount or $405 via PayPal or credit card. Includes class CD and all music. Payment plan options listed below. This beautiful 4-part series offers the opportunity for an intimate discovery and profound knowing of your inner mother, which is the power of divine love within you. Together we’ll sing wonderful songs that deepen our journey, and you’ll also be given a CD to sing with throughout the week. On June 24, we offer an optional singing pilgrimage to Dallas/Fort Worth to sing for love in the presence of Mata Amritanandamayi, known all over the world as Amma, or Mother, for her selfless love and compassion toward all beings. This trip is optional, but highly recommended! As the pace of modern life continues to quicken, it becomes increasingly important to take time to slow down and attune to the sacred. For it is in the stillness that we open to the radiance of love, remember that we are held in love, and feel ourselves regenerated by the power of love. In this Spring Session of Hilde Girls, we will circle together, use our wholehearted voices to enter the sacred stillness, sing for love, and receive new levels of support in our living as instruments of love. It’s the most joyful and important work there is. And we can’t wait to share it with you! Intro Sampler Circle: An opportunity to experience the magic and learn more. Previous and returning Hilde Girls are also invited! Offered by love donation. Cost for our 12-week Spring Session: $390 cash or check discount or $405 via PayPal or credit card. Includes class CD and all music. Payment plan options listed below. Saint Hildegard of Bingen lived in close relationship with angels, and referred to them as “living light.” As always, the beautiful poetry of Hildegard’s language invites us to consider life’s deepest truths. What if we are surrounded and supported by living light? How might our lives be blessed and transformed by an increased awareness of such an invisible yet constant flow of love? Join us for the Fall Session of Hilde Girls, as we joyfully circle together, sing for Love, invite our holy curiosity about living light, and as always, experience ourselves as each other’s angels. A special women’s gathering for newcomers, returning Hilde Girls, friends, and family: The Blessing Circle, Tuesday, Sept. 29, 7 – 9:30 pm. Offered by love donation. All that is wild lives and grows in a natural state. Each of us, too, has a way of being completely natural, and this way of being wild brings us to our truest selves and most joyous potential in this life. Come join us for the Spring Session of Hilde Girls, as we circle together, sing for Love, and discover the beautiful wilds of our own being! Includes a Celebration Concert with the Drumsistas: Saturday, April 18, 7 pm at Unity Church of the Hills. Audience tickets $15 – $25, concert proceeds donated to Westcave Outdoor Discovery Center. Cost for Spring Session: $375 cash or check discount or $387 PayPal or credit card. Includes class CD and all music. Here is a wonderful opportunity to experience the magic and learn more about Hilde Girls, prior to the start of our Spring Session. This gathering is especially for first-time participants. Returning Hilde Girls welcome! No previous singing experience is needed. Come with a willing heart, and you will be singing with joyous freedom before you know it! When women circle and sing together, MAGIC HAPPENS. Not only does each women access her authentic heart’s voice, but a powerful, ancient and eternal feminine spirit sings through the whole circle and love multiplies for our entire world. Please come be a part of this beautiful circle, and allow love to sing through you. No previous singing experience is necessary — if you can talk, you can sing! For directions and more information, call Unity of Dallas at (972) 233-7106. December is a holy month. For thousands of years, our ancient ancestors honored our deep inner connection with the rhythms of the natural world by celebrating the winter solstice, a magical event when the cosmic wheel turns from darkness to light. Join Susan and Craig to create together a powerful ritual of song and silence; beginning by embracing the fertile darkness and then moving into the whisper of candlelight, representing the awakening light of love deep within us all. For advance payment, mail check for $20 made out to Susan Lincoln to 1706A Cinnamon Path, Austin, TX 78704. Just as any seed contains the whole of the plant, we carry in ourselves the living template of our wholeness, which is simply our return to Love. Join us for a most beautiful fall session of Hilde Girls, as we celebrate our wholeness and sing with great joy the return to Love for our whole human family. Cost: $375 cash or check discount or $387 PayPal or credit card. Includes class CD and all music. Sing for Amma in Dallas! Amma’s program dates for Dallas are set: Friday, June 20 & Saturday, June 21. We will sing Saturday, June 21 — on Summer Solstice! The cost is $100, and includes a class CD. Let’s create magic together, in honor of Mother Earth, with our grateful hearts joyfully singing for the beauty of this world and the wonder of this life! Remember, if you can talk, you can sing! Do you long to express your real self with freedom and joy? Do you want more fun in your life? Please give yourself the gift of being part of the magic of this powerful circle. You’ll be so glad you did! With over 35 years of experience, Susan uses inviting activities to help you connect to your breath, body, voice and spirit from your wholeness. Even if you think you can’t sing, you will find your free and joyful voice in this nurturing environment. Susan’s special gift lies in returning women to the power of their authentic voices, which reaches into every area of life. This is your invitation to create the most loving relationship imaginable between yourself and Nature, and to truly love Nature as the visible form of God. Come, let us join our hearts in praise and gratitude for all Creation, and sing our thanks to Mother Earth with great joy! Our Spring Concert on April 12 will benefit Austin Families in Nature, and will surely be our happiest and most hope-filled gathering to date. Find out what it’s all about – we’ll share, love, laugh, and of course, sing! Cost: $15. This Sampler is free if you register for the Fall session by the evening’s end. 12th century mystic and visionary St. Hildegard of Bingen wrote, “There is the music of heaven in all things, and we have forgotten how to hear it until we sing.” Come to the Fall session of Hilde Girls, and remember. Remember that the very sound vibrations — the exquisite cosmic music — that created the universe itself is fully present within you. It is in our coming together and singing together that we are given the experience of remembrance, and the knowledge that we are eternal creators in Love. Cost: $15. This Sampler is free if you register for the Fall session by the end of the evening. $15-$25 sliding scale ~ your choice. No pre-registration necessary; pay at the door. Please join us for an irresistibly joyous experience of one heart, one voice; singing together both powerful original music of Hildegard of Bingen and also contemporary chants written by Susan and Craig, inspired by Hildegard’s music and timeless teachings. No experience necessary! This gathering is for all men and women and isn’t intended as a couples’ event, although couples are very welcome! THE CHRISTINE CENTER, a retreat center for spirituality and meditation in Willard, Wisconsin, will offer a retreat September 13-15 titled “Hildegard Fest! 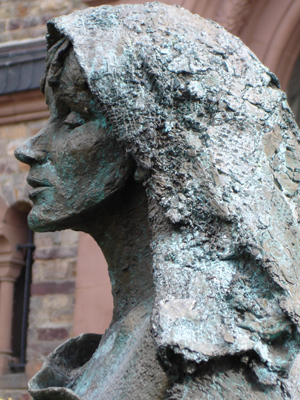 In Spirit and In Song.” The retreat will offer the opportunity to sing the healing sound of Hildegard’s music and chant (no experience necessary) and gain inspiration from exploring St. Hildegard’s life. The retreat is facilitated by Susan Lincoln, a classically trained singer, who sings the 12th century music of Hildegard daily. Ms. Lincoln is internationally known as an inspiring teacher who uses the teachings and songs of Hildegard to strengthen and enrich her student’s spiritual lives. Her recent recording of Karitas from her Mother Heart CD of Hildegard’s music was handpicked by Eckhart Tolle for inclusion on his new CD, Music for Inner Stillness. Susan will be joined by co-facilitator Gabriele Uhlein, OSF, Ph.D., who will provide inspiration from Hildegard’s food and healing recipes and sacred visions. The cost of the retreat is a sliding scale of $100-$200, plus meals and lodging. For more information about Susan Lincoln, visit www.susanlincoln.com. Also visit The Christine Center’s website at www.christinecenter.org, call at 715.267.7507 or email at christinecenter@tds.org. Our magical selves are calling. They are asking us to set them free, to sing and be tuned to the music of our innocent hearts, to awaken and use breath and awareness as our magic wand, to consciously and intentionally join heartvoices with our sisters, creating together new stories of womansong ~ Wisdom is the Gift. Tuesday Jan 29: One-night Sampler. Find out what it’s all about – we’ll share, love, laugh and of course, sing! Cost: $15. This Sampler is free If you register for the Spring Session by the end of the evening. Tuesdays Feb 5 – Apr 23: Hilde Girls Spring Session 2013. More singing, loving, and laughing! Cost: $375 w/flex pay options. What causes the rose to bloom? The light of the sun, the water of rain, the root nourishment of earth. Life generously gives all that is needed to the rose for its unfoldment. The very same is true for each of us. And in this fall session of Hilde Girls, we’ll circle together with the sacred intention of giving ourselves and each other every good thing to nourish our blossoming and growth. This year, 12th century mystic, abbess and visionary Hildegard of Bingen was officially declared a saint. What better time to immerse ourselves in singing Hildegard’s beautiful music and receiving her wisdom teachings? Join us as we awaken our unique relationships with what Hildegard called “the Living Light” and joyfully explore the nourishing of our lives with all goodness. No prior singing experience is required to learn the music of Hildegard, or other songs we’ll be singing in this session. All that is needed is a desire to learn and an open heart! If you register and pay in full for the Fall Session by 9/25, you will attend the Sampler Evening for free. A heart-opening audience participation extravaganza! Come join a circle of women for a retreat to nourish your soul and uplift your spirit. We will joyously journey with Hildegard’s beautiful songs to the Divine Mother, along with other beautiful, inspiring, easy to learn songs of the heart and spirit. If you have a voice it is your birthright to celebrate life with song. Even in the midst of 12th century repression, Hildegard of Bingen boldly claimed her voice — and today she has much to teach us about claiming ours. Isn’t it time for you to begin the empowering journey of claiming your own voice? For details and information click here. A delightful creative 4-part series for women designed to help you discover and express your authentic voice. You as a woman have a unique voice — a way of perceiving and translating life experience through well-earned wisdom. This class will assist you in joyfully bringing forth your authentic voice and therefore more of your gifts to the world. Using creative, delightful activities including free sounding and singing, Susan will guide you to deepen your relationship to your breathing and experience how to use this precious breath to source your true voice. Woman’s voice is the medicine for our weary world. We need you. Are you ready? Mail a check for $120 made payable to Susan Lincoln and send to 1706A Cinnamon Path, Austin Tx78704 or pay $130 via PayPal. What is a WomanSong Circle ? and express your authentic voice. We will sing for each other and the world and open even more the portals to Divine Feminine Love, bringing compassion, empathy, beauty, and partnership to our beloved precious world. Please join us and add your unique medicine voice to this resounding joy. $40 check payable to Susan Lincoln. A retreat is an extended opportunity to open our hearts and voices and grow together. We will gather in a beautiful private home and dive deeply into the feminine mysteries as only women can. Every retreat offers a unique opening for each woman, and miracles abound. We will meet over the feast day weekend of Hildegard of Bingen, who has inspired the womansong circles for 13 years. Hildegard was sainted May 10 and will made a Doctor of the Church in October, so this is a very strong time to call on her energies to serve us in claiming our voices! $275 check payable to Susan Lincoln.